Q: I have a specific room setup that I want to use for multiple jobs. Is there any way I can copy this room to a different job? A: Yes. You can export and import an .ORD file to accomplish this. 1) Once you have created a room that you want to use in other jobs, you must first "Save the current job". 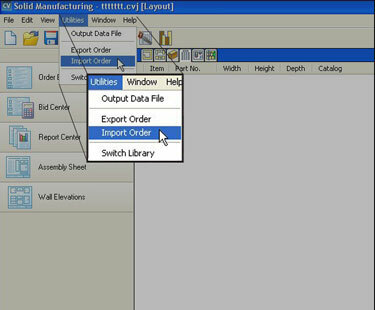 3) You will now see Export Order screen. Enter a name for this file and you will notice the extension of this file will be type .ord. Save this file. 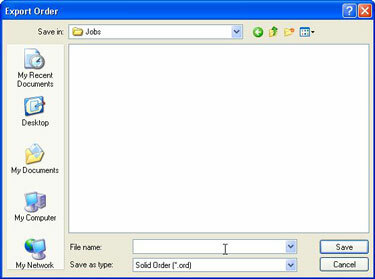 4) Open a different job and create a new Room at the Plan view. 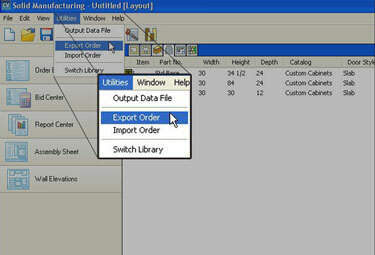 5) Now go to Reports \ Utilities \ Import Order. 6) You will now see the Import Order screen. 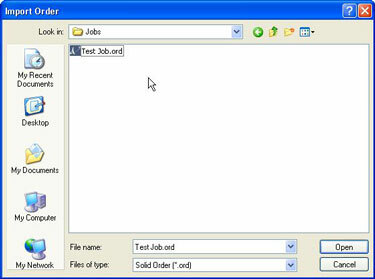 Select the .ord job and Open. 7) Now go back to the Plan view of that job and you will notice the room has been imported. 8) The room will keep its original Job Properties settings, so you will have to change the Doors, Materials, and Construction Method if desired.